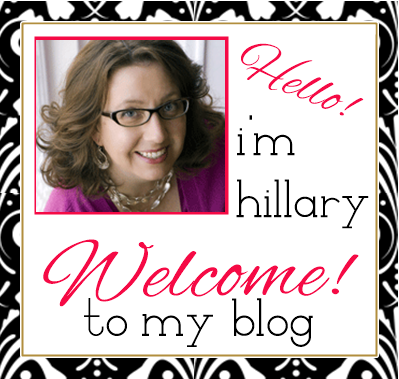 By now, you've probably realized how devoted I am to my essential oils for supporting my family's health and wellness. Essential oils contain vital plant compounds. Many of these compounds have been studied for their positive effects. One of the ways you can enjoy your essential oils and take advantage of their supportive qualities, is through inhalation. Inhalation simply means breathing them in. That seems almost too simple to be true, doesn't it? One of my most favorite tools in my wellness arsenal is my Young Living Diffuser. A diffuser can help you and your family reap the benefits of aromatherapy in any room of your home! I have one in the family room and one upstairs in our master bedroom. In the evenings, I like to diffuse Vetiver and Lavender upstairs to promote a cozy night's sleep. During the day, my diffuser downstairs is always running! I love researching various combination to make my house smell wonderful (without all those yucky scented candle and room freshener toxins). A recent favorite to help support our happy moods, are three drops each of Joy and Tangerine. 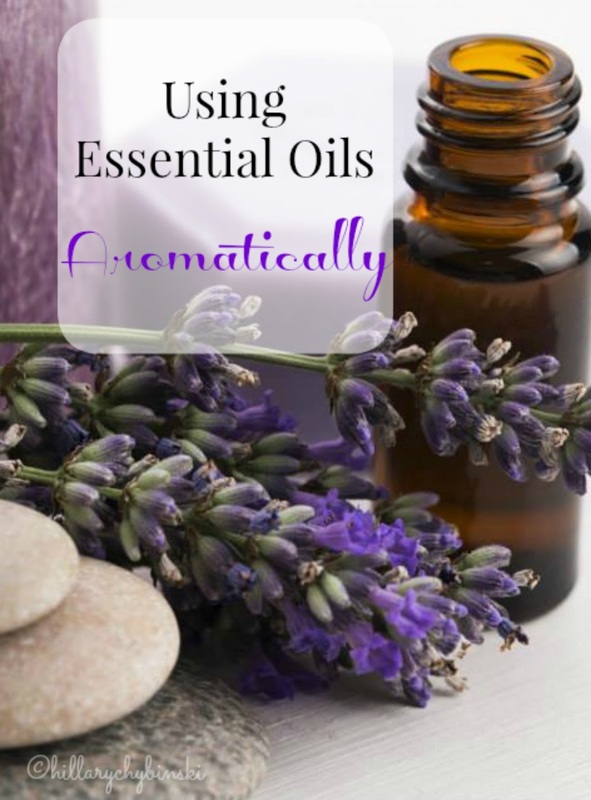 How do you use an Essential Oil Aromatically? Rub 2-3 drops of essential oil between your palms, raise to your face and inhale. Add a few drops of essential oil to a bowl of hot water, cover y our head and the bowl with a towel and breath deeply and slowly. 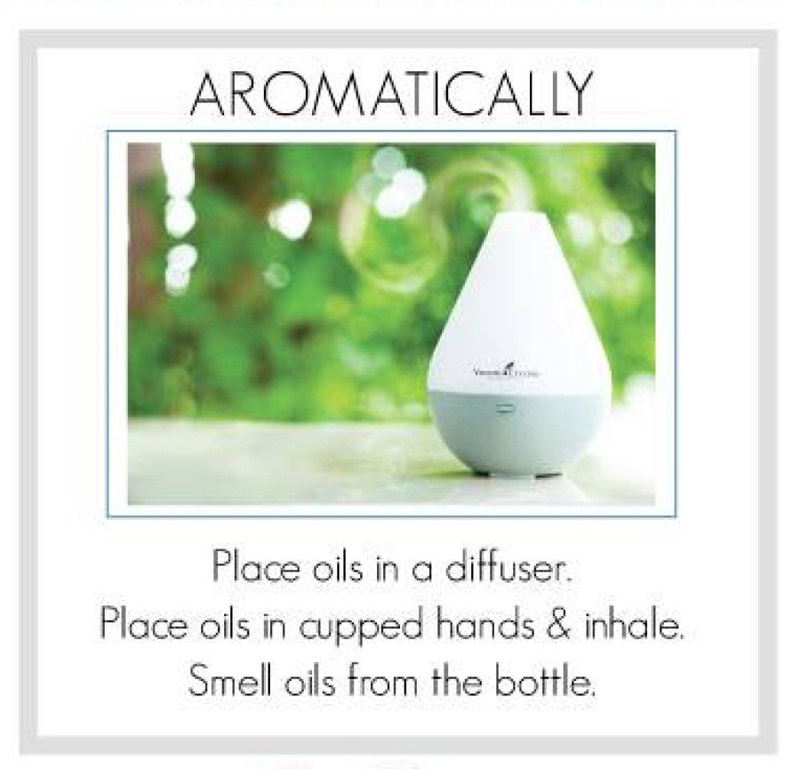 Use your favorite essential oils in a diffuser. 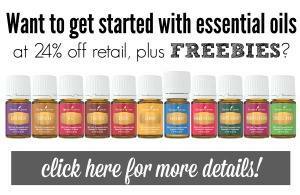 If you're interested in learning more about how you can begin your own essential oils journey to better health and wellness, you can check out my Oily Life page or you can email me at hchybinski@comcast.net. Not all essential oils are the same - please read the packaging carefully and follow package directions. I chose Young Living for their Seed to Seal commitment.